A physical is an integral part of routine healthcare. If you only see your doctor when you’re sick, you may want to reconsider the benefits of an annual physical. 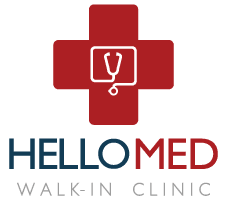 At HELLOMED in Ann Arbor, Michigan, the dedicated team of medical professionals offers full physical exams to ensure your good health. The team also provides specialized physicals you may need for employment, school, or sports participation. Feel free to walk-in, or schedule a physical today online or by calling the clinic. A routine physical exam is an opportunity to ensure you’re in good physical health. Annual physicals are also a part of preventive healthcare and allow your doctor at HELLOMED to identify potential health problems early. What is involved in an annual physical? During your physical, your HELLOMED doctor conducts a physical exam of your whole body. They also review your previous medical history and update your medical file with new information. If you have a family history of diabetes or other health problems, your doctor may screen for these conditions during your physical. An annual physical is also an excellent time to discuss any symptoms or concerns you have about your health. Your doctor offers counseling to improve your health and prevent disease in the future. How often do I need a physical? Other factors may require more frequent physical examinations to protect your health. Your doctor at HELLOMED discusses the right timeline for physical exams based on your medical history. Some jobs and activities require a signed physical form by a licensed medical doctor to ensure you are in good physical condition. At HELLOMED, specialized physicals are available for this purpose. Your HELLOMED doctor conducts a physical exam and may answer questions on the physical form you provide. If you pass the physical exam, they sign off on the form to certify you are in good physical health and meet other requirements. If you don’t pass your physical, your doctor discusses areas of concern and may recommend additional treatment or follow-up care. To schedule an annual or specialized physical, book an appointment online or by calling the office. The clinic also accepts walk-ins!